The Chiurazzi Law Group is a general practice, full service law firm representing businesses and individuals in all areas including but not limited to civil litigation, criminal law, collection law, commercial law, construction law, corporate and LLC start-up, decedents estates, employment law, labor law, landlord/tenant, probate, social security, workers compensation and disability claims. 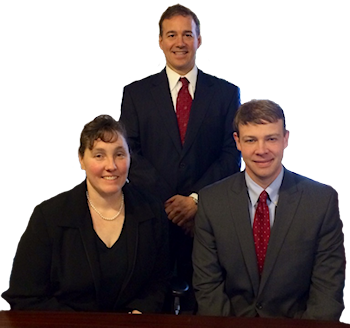 Located in Pittsburgh, Pennsylvania, the principal partners have combined over 36 years of experience. The firm’s practice area encompasses Pennsylvania, West Virginia and Florida. We provide excellent legal work to our clients in a courteous, ethical and timely manner. We deliver this service at a reasonable cost, keeping expenses under control, working together efficiently and unselfishly. We take a personal interest in our clients and give them the service, value and attention we seek in our own relationships. Accomplishing our mission will continue our tradition of enduring and rewarding relationships with our clients and among all of the people who are The Chiurazzi Law Group. Copyright © 2013 - 2019 The Pittsburgh Attorneys.